Alhamdulillah, the fun and work never end! What began during the school year will now be continued into the summer in our camp! With lots of activities and lessons planned, students can be sure not to lose the Islamic knowledge they gained during the semester. 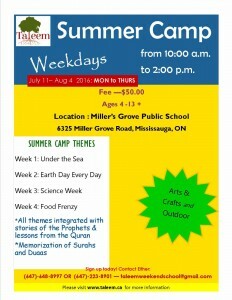 We are officially going to be running our summer camp at Millers Grove Public School, in Mississauga! For more information on how it all works, give us a call or send us an email, and we’ll be happy to talk to you. 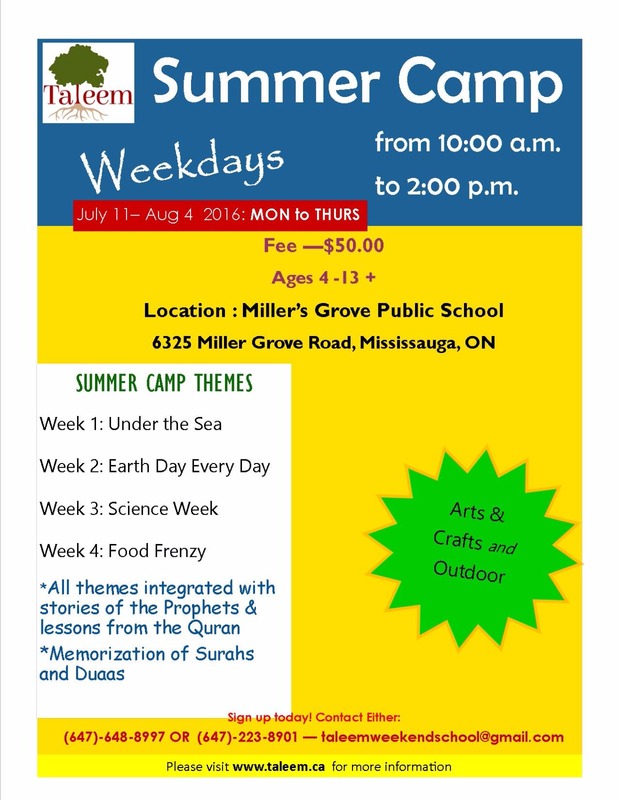 In the meantime, feel free to give us a call at 647-648-8997 to register!